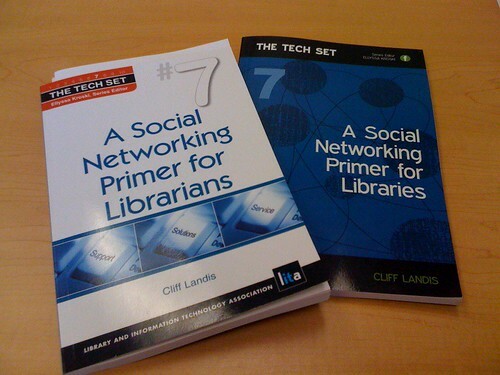 I’m very pleased to announce the publication of my book A Social Networking Primer for Librarians, the seventh book in The Tech Set, a series produced by Neal-Shuman Publishers and edited by the amazing Ellyssa Kroski. So order a copy for your library (or yourself! ), listen to the companion podcasts and add your notes to the companion wiki! I’m looking forward to interacting with readers on the wiki and right here on my blog! So go check it out!